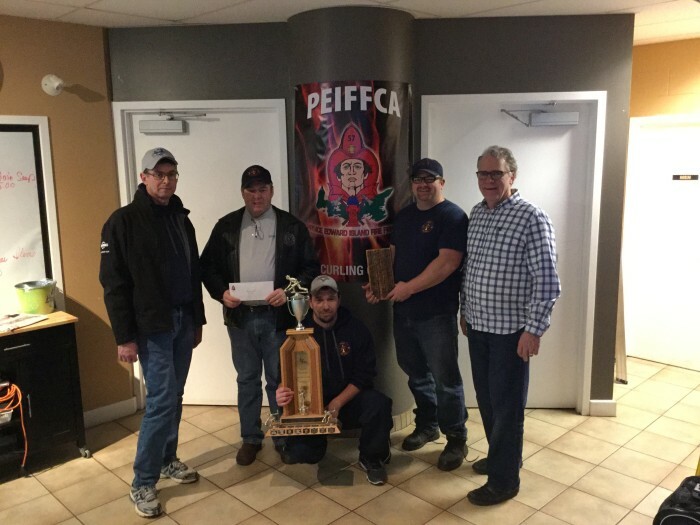 The Jerry Hughes rink from the Cross Roads Fire Department defeated the Alan Brown team from Charlottetown Station One Fire Department to capture the PEI. 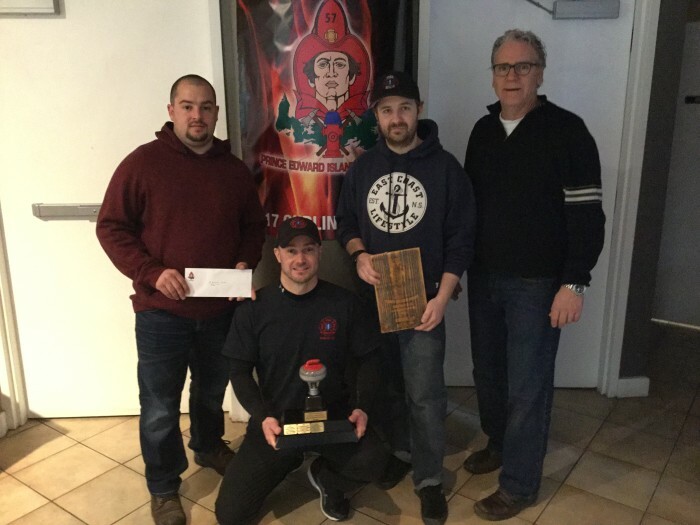 Firefighters Curling Championship held over the weekend at the Charlottetown Curling Complex. The rink includes, from left, skip Hughes, third Billy MacKinnon, second stone David Leslie, lead Amanda Brazil and fifth player Bill MacPhee. 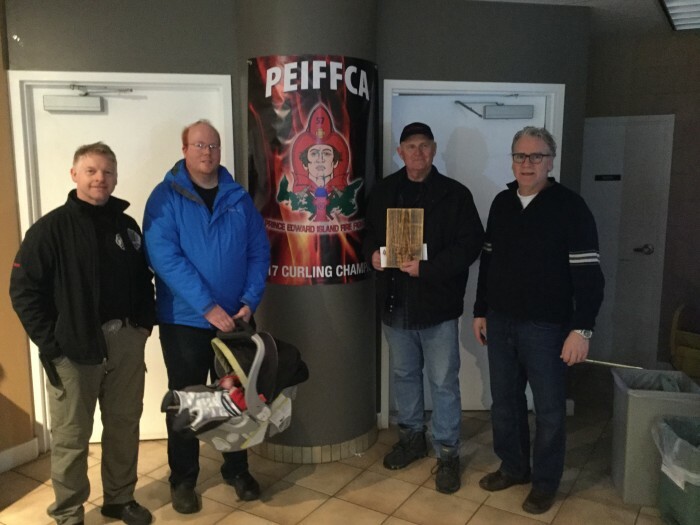 Canadian FireFighters Curling Association provincial director Peter MacDonald is on the right. 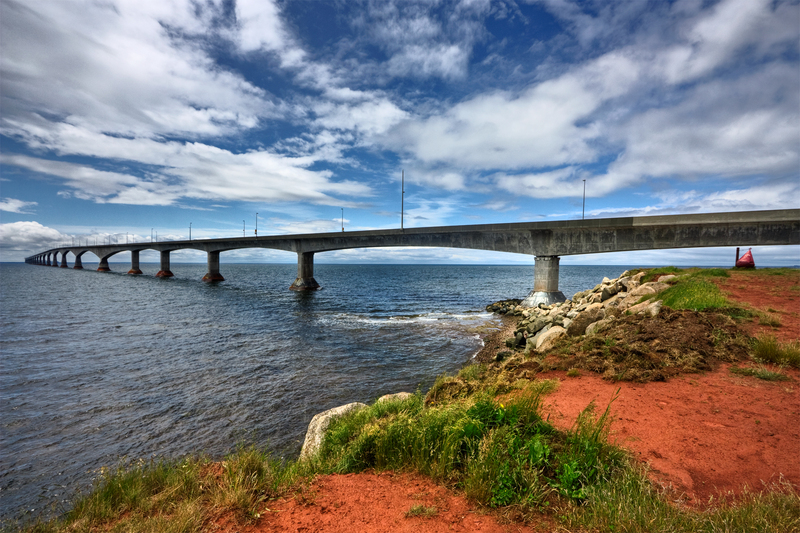 The Hughes squad will now represent P.E.I. 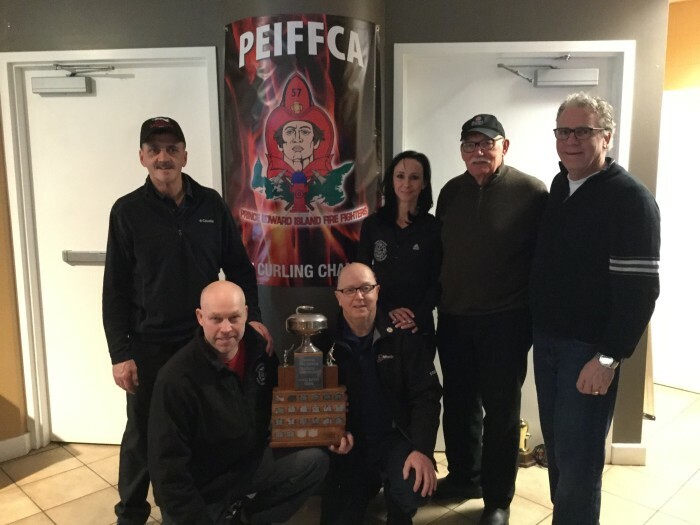 at the Canadian FireFighters Curling Association Muscular Dystrophy Hydrant championships in Mississauga, Ont., from March 24 to April 2. 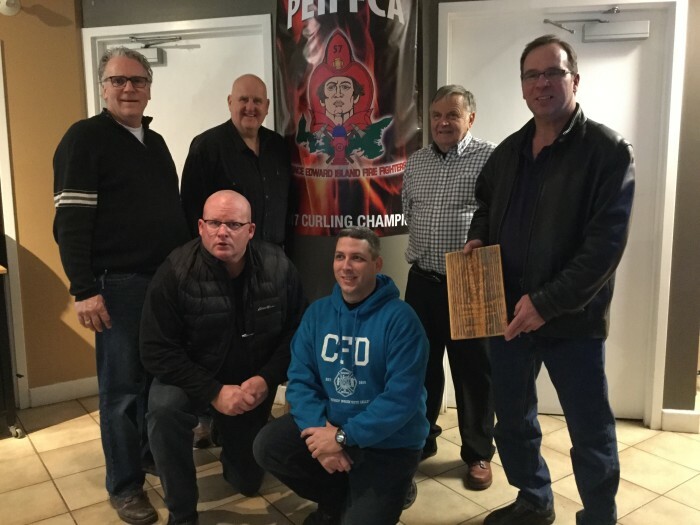 Copyright © 2018 Prince Edward Island Firefighters Curling Association.